Armani Exchange, or A|X, is the fashion-forward label created by Armani. The brand cites "street-chic culture, fashionable dance music, freedom, and personal styles" as its inspiration. You can see that trendy influence in the versatile Armani Exchange sunglasses line, which offers great style choices for any hip destination. A|X sunglasses offer luxury in every detail. Each Armani Exchange frame shows the A|X logo on the temple. And on sunglasses, the top of the right sunglass lens is inscribed with "Armani Exchange" in subtle white print. A long-time leader in the luxury fashion industry, Armani Exchange makes no compromises on style.Due to manufacturer's restrictions, products cannot be shipped to Australia. Armani Exchange AX4080SF is a Full Rim frame for Men, which is made of Acetate. 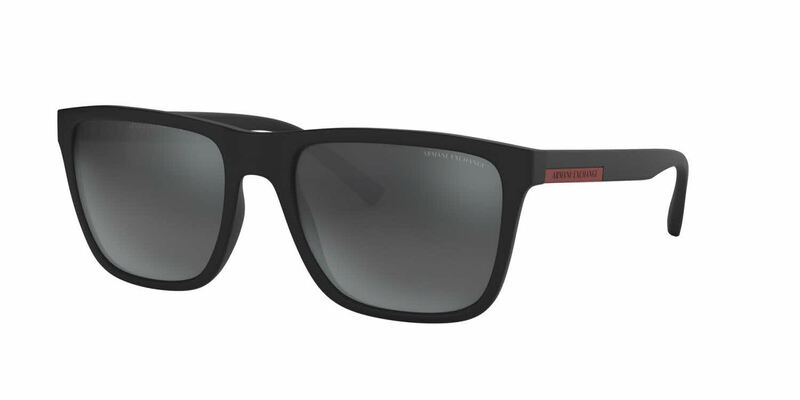 The Armani Exchange AX4080SF Sunglasses feature the following logo: Armani Exchange on temple. Armani Exchange AX4080SF Sunglasses come with a cleaning cloth and protective carrying case.